If there’s one thing this digital health revolution has brought us, it’s information — information about our well-being, sent straight to our smartphones and even teleported to our wrists. But what do we do with this information? How often do we look at a lit screen, scroll down, and mutter to ourselves, “Oh, that’s how I fix that”? Bridging this information-action gap seems to be the goal of the next generation of health-tech products. Base-level information no longer cuts it — new products also recognize the importance of context, as well as feedback. Here are six innovators we’re watching closely. Say you’re in a yoga class, where the workout may not be as “obvious” to your fitness tracker as a traditional cardio class, which has lots of hopping around (and therefore, steps). Your tracker may only give you a couple steps’ worth of “credit,” even though you were hardly staying still the whole time. That’s where FocusMotion comes in. 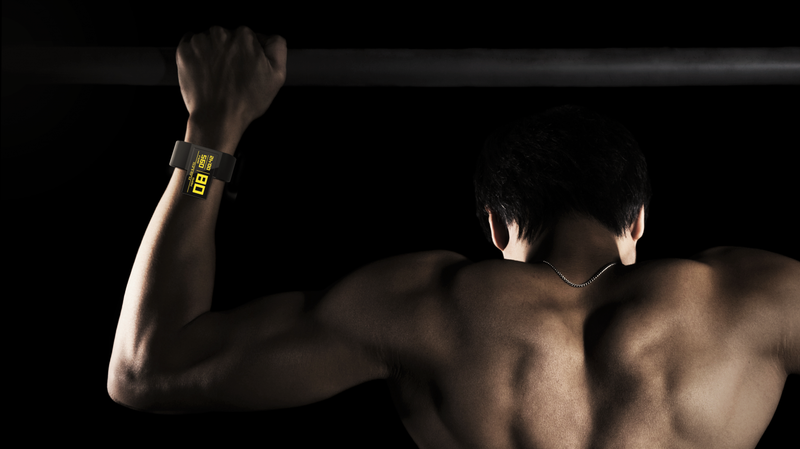 The two-year-old, Los-Angeles-based company is the brainchild of business and engineering majors at the University of Michigan, who looked at the fitness tracker space as the Nike+ FuelBand emerged and “saw a huge opportunity to understand what people are doing contextually,” co-founder and chief operating officer Grant Hughes tells Yahoo Health. 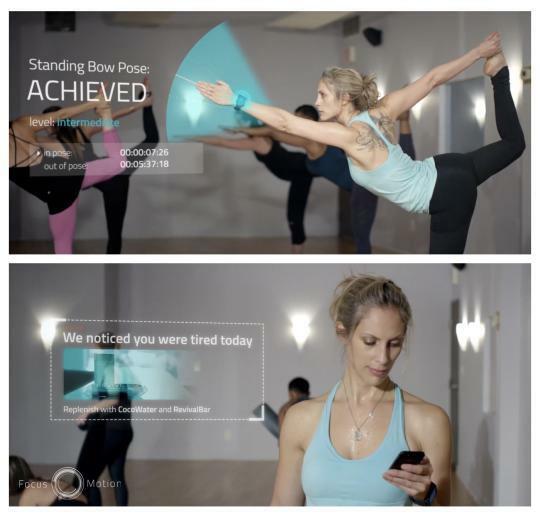 Unlike some other fitness trackers on the market, FocusMotion’s platform has the ability to recognize a pose and how long it’s held. “We wanted to give people ‘credit’ every time they go to a yoga class,” for example, Hughes explains. But the logic applies beyond yoga — and, really, to anything involving movement. 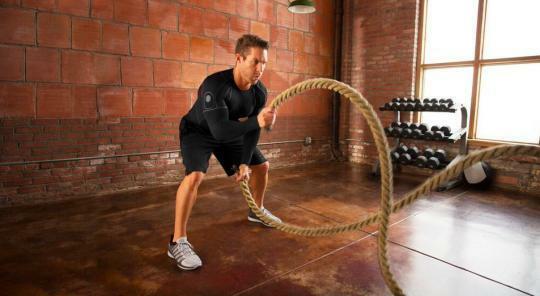 More recently, FocusMotion partnered with the Fitocracy app and the Pebble Time smartwatch, addressing the former’s pain point: It had an engaging social network, but its members were forced to manually input their workout data. Now, it has auto-tracking. 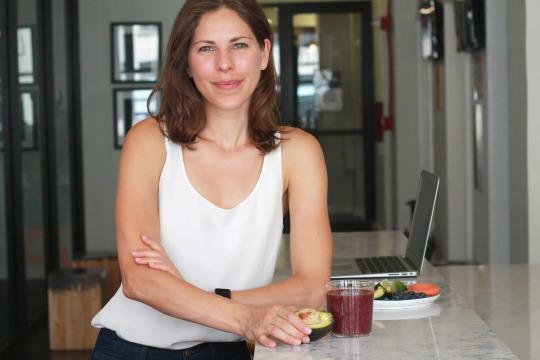 The subscription-based Parsley gives members five annual visits (and unlimited health coaching) for the price of one at her old employer, in addition to discounts at partners such as yoga studios and physical therapists. That manila folder with your medical history? At Parsley, it’s completely online and accessible to both you and your coach; attachments can be uploaded and downloaded. Parsley deliberately doesn’t have a phone number. Like many successful startups, Dhananja Jayalath’s came from thinking about money and time — more specifically, a lack of both. Then a student at the University of Waterloo in Canada, Jayalath and his classmate Chris Wiebe (the two would go on to co-found Athos) couldn’t afford a personal trainer, and they couldn’t spend all night in the gym teaching themselves. “With two guys working out together, there was also that sense of competition, of, ‘Oh, you’re doing more weight because you’re doing it wrong,’” Jayalath tells Yahoo Health. In the past year, Athos troubleshot the manufacturing of this smart-yet-machine-washable clothing. Consumers have taken to the product quickly — “knock on wood,” Jayalath says — though not all for the same reason. “Some people have worked out for many years and are using this to gauge how they’ve performed,” he said. “For another set of folks, it’s about accountability, like, ‘Yes, I worked hard enough, I hit my goal.’” What’s next for Athos? Iterating the software and varying the clothing styles to be smarter and more stylish. Everything can be made smarter — even your foam roller. This is the stance taken byHyperice, which makes wearable recovery products for many problem areas, including your back and knees. Its Vyper roller vibrates at three speeds, has two hours of battery life, and claims to loosen and lengthen muscles before a workout (or to massage them after one). The company often cites an August 2011 American Journal of Physical Medicine & Rehabilitation study that concluded “vibration treatment was effective for attenuation of delayed-onset muscle soreness and recovery of range of motion after strenuous eccentric exercise.” And, hey, Hyperice’s technology is good enough for LeBron James’s right shoulder. The Fuse can also can track your pace during a run, while working the more traditional magic behind the scenes — number of steps and calories burned, plus app connectivity — when you’re not exerting yourself. It compares favorably to other training devices, although bicyclists may prefer the smart, heart rate-measuring helmet made by Israel-based LifeBeam. Yes, data is king, even in meditation.